It’s surreal to be back in Manila, an entire year since I first set off. Again, coming to full cycle. So ends an incredible journey of both teaching and learning, which has taken me to North Yorkshire, the Spanish Pyranees, Barcelona, Japan, Egypt, Barcelona again, London, and Cairo for a second time. So ends a series of sharing in Egypt, so begins new opportunities to share and grow. So ends a year of travel, so starts a new adventure. Always: the end is the beginning. Over a week ago, I was leading a retreat in Gouna, Egypt through Nūn Center. There, away from life in Cairo, overlooking the Red Sea, we found respite from the day-to-day madness. We were coaxed deeply into process: the detox diet coupled with yoga and inner dance facilitated some deep purging. Some kilos, tears, and a lot of old limiting ideas were shed. We were all sad to see this special time come to an end. In truth, however, the end of the retreat marks the beginning of the real work ahead: the challenge of how to bring the lessons and impressions of that week into our “real” everyday existence. Returning “home” carries the weight of our old samskaras, our old patterns. Sometimes, these cycles may make us feel like we are on some strange loop, things interminably repeating. And we struggle when we see that we ended up exactly where we started. But nothing stays exactly the same. Change is inevitable–even if we appear to be revisiting a similar place or moment. One teacher/friend likes to point out that these cycles become more and more refined over time. It’s true; as I sit in my old room here in my family home, where nothing appears much to have changed, I cannot help but notice the biggest difference: me! I am different, and through me, things will continue to change. PHOTO: Closing Circle for the Ashtanga Yoga & Detox Retreat with Nūn Center in Gouna, Egypt. Yesterday, just past the halfway mark of the Yoga and Detox Retreat here in Gouna, a retreat participant shared her surprise at the emotions which were coming out of the process (juice fast, bodywork, yoga…). Some issues she had thought she was well past. I could not help but smile a little. Yes, I thought, this is also a part of the process. I recall how the months passed softly, beautifully undramatic. And then, quite suddenly, close to the end of my third and final month, I found myself crying over my favorite Indian breakfast, triggered by one little question: how are you today? How this usually obscure shade on the ground, when I looked properly, was quite a telling reflection of me, triggering what was the beginning of an epic healing journey. We all cast some kind of shadow. It is a reflection of us, but not who we are. When we notice these shadow sides, it is an opportunity to recognize who we really are as opposed to what we are not. And as we change, so do our shadows. 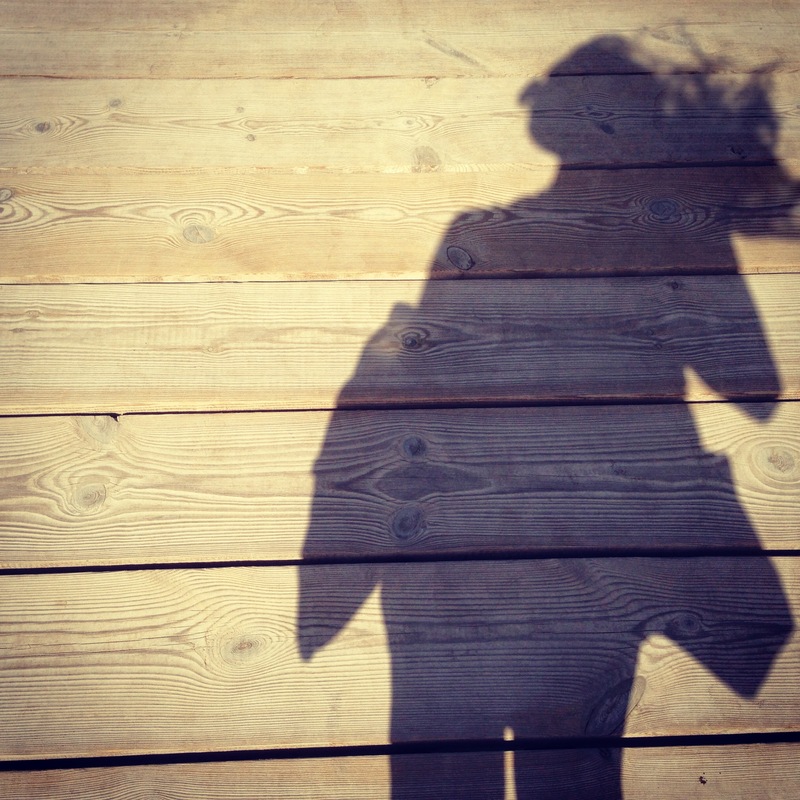 PHOTO: Today, I love my shadow, as pictured at a pier here in Gouna, Egypt. It’s been a very special time here at the Nūn Center Yoga & Detox Retreat. I am totally inspired by these group of participants, who are taking this opportunity to shed unnecessary weight in the body, mind and spirit. It’s been wonderful supporting this process with yogasana, meditation, pranayama, chanting and inner dance. This week I am in Gouna. And all around me, there is water: inviting poolsides, the Red Sea, the manmade lagoons that break the desert landscape here with different shades of cooling blue. I am here to lead the yoga program for Nun (pronounced “Noon”) Center’s Yoga and Detox Retreat. Nun, it turns out, comes from the idea of water. Nun spells out the ancient letter N, the hieroglyphic symbol of which looks like waves on water, like so: VVVVVVV. Water is a powerful element. Without it, life would be impossible. In the Pharaonic tradition, water is the source of life. From the water, the lotus came into existence and from the lotus, light, everything… Water is the primordial stuff, from which all is created. It is said that water has memory and that it is a great conductor of information. So, I’m excited. It feels a little like we are diving into this great transformative soup, with many elements to support positive shifts: the different aspects of yoga (yogasana, meditation, breathing, chanting) combined with inner dance, nutrition (organic food, vegan or juice fasting), and body work. We jump in the water, so to speak, later this afternoon. I am eager to get in, to see the waves on water, to experience the ripples of transformation. PHOTO: Gouna, Egypt, the site for this week-long yoga and detox retreat with Cairo’s Nun Center.